2. 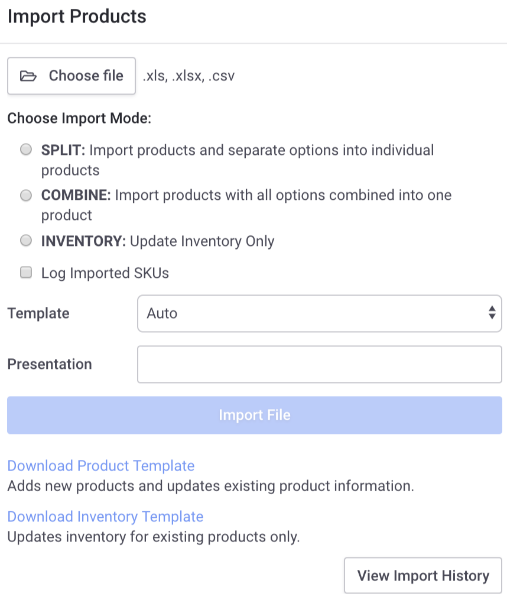 Click on the "+ Product" icon dropdown and select "Import Products"
4) Click on "Download Product Template" to download the template file to your computer. 5) Open the file in Excel or any spreadsheet program. 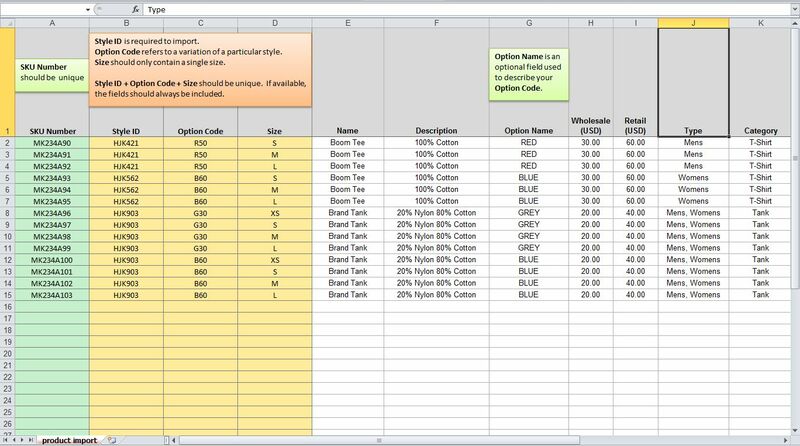 6) Edit the product information using the sample data as a guide, or replace the values with your own. SKU Numbers: Each SKU value must be unique and cannot repeat. This is optional; however, if you have sku number for your products we recommend entering them into the sheet. Option Code: List out the different variations of your style, commonly colorway. Option Name: Use this field to explain your codes in the Option Code column (like in the Product Template). Otherwise leave it blank. Size: Input size of each product. Alternatively, you can leave this column blank and create sizes with the size chart function after uploading. If the information you're uploading is not reflecting properly or resulting in an error message, see this article for common issues and solutions.